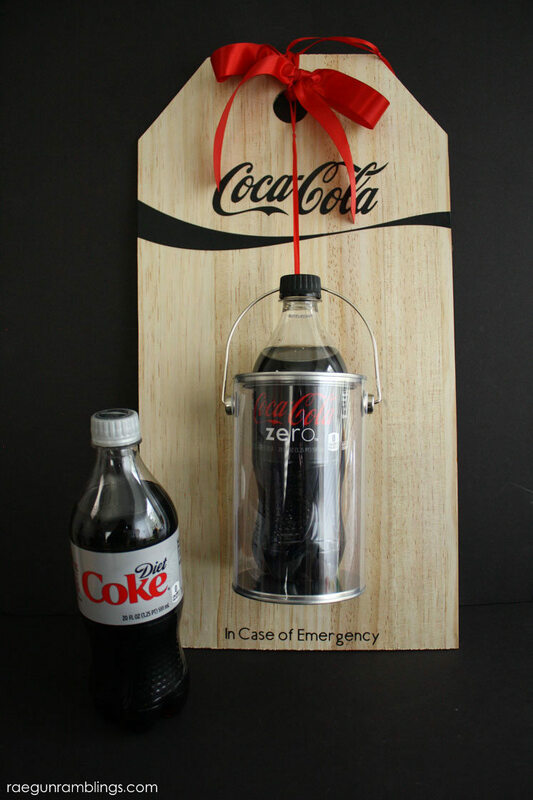 Whether your Coke loving friend is your mom, sister, or even one of your kids’ teachers how fun would it be to feed their addiction with this DIY emergency diet Coke sign? 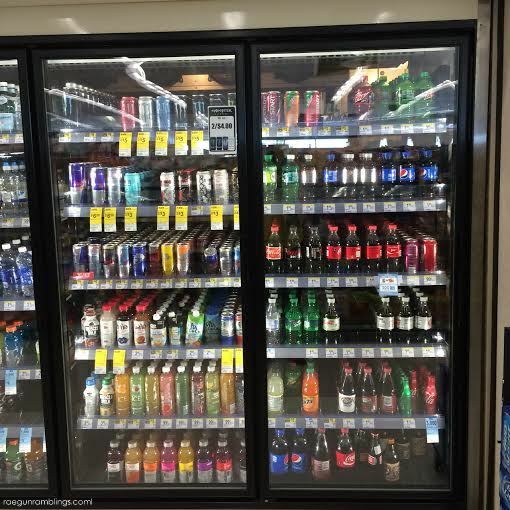 Being a mom or teacher is hard work and sometimes you just need that soda to get through the rest of the day. This sign is so easy. I found all of the crafty stuff easily at my local craft store. The 20 oz. Cokes I found at Walgreens where every Wednesday through Friday from 4:00 to 7:00pm, you can buy 1 Coca-Cola 20 oz. bottle and Get 1 Free 20 oz. bottle to share! You can load the coupon instantly on the Walgreens app or click here for more information about the promo. May through July you get 3,000 Balance Rewards points when you buy participating Coca-Cola products when you purchase $10 of participating Coca-Cola products. Cut text out of vinyl. I did this on my Cricut Explore. 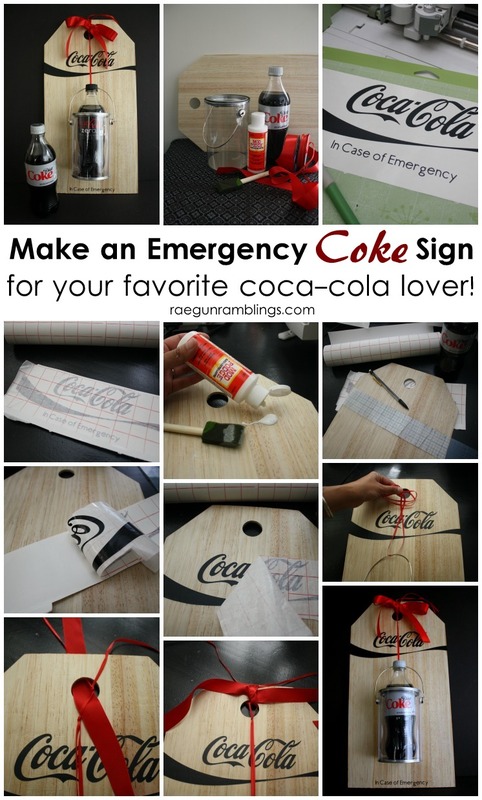 I just used a simple Coke logo I found after a quick google search and then typed out the words “In Case of Emergency”. Weed out the negative space of the vinyl. Use transfer tape to remove the vinyl from its backing. Set aside. Paint board with a thin layer of mod podge and allow to dry. This step is optional but I wanted my sign to have more of a glossy look. Once dry position your vinyl, rub firmly and pull away the transfer tape. 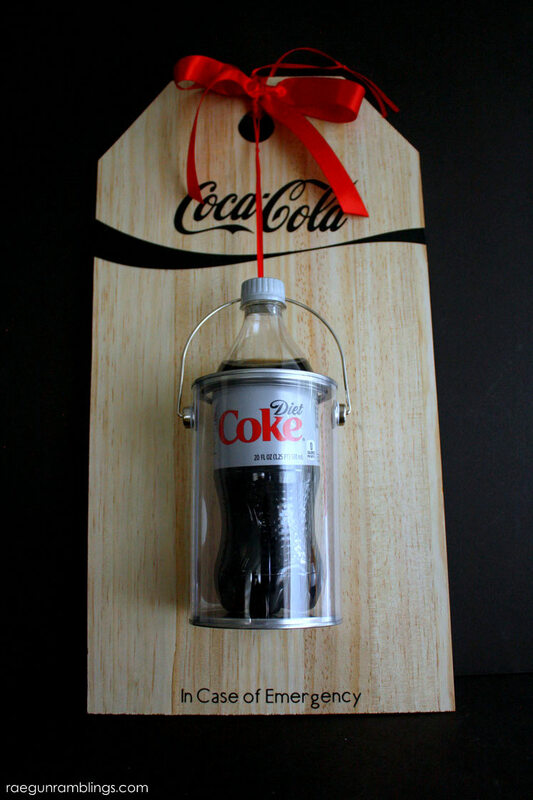 Next tie your hanging canister onto the board with the thin ribbon. Making a loop at the top to use to hang the sign. Then tie the thick ribbon around the board forming a bow. Slide your 20 oz. 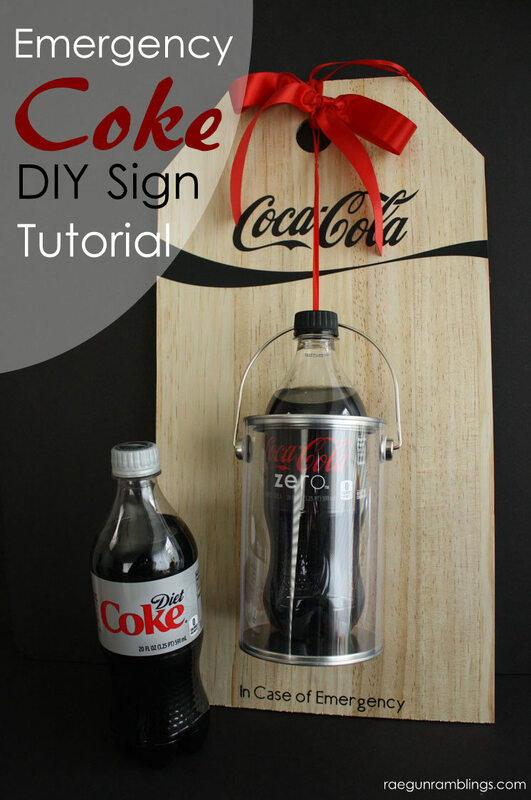 bottle of Coke in and give to your favorite Coke lover. I think it turned out so cute. I know lots of mamas and teachers that would love a fun sign like this and it’s so quick and inexpensive to make it would be a really great teacher gift or welcome to Summer gift for one of your mom friends. 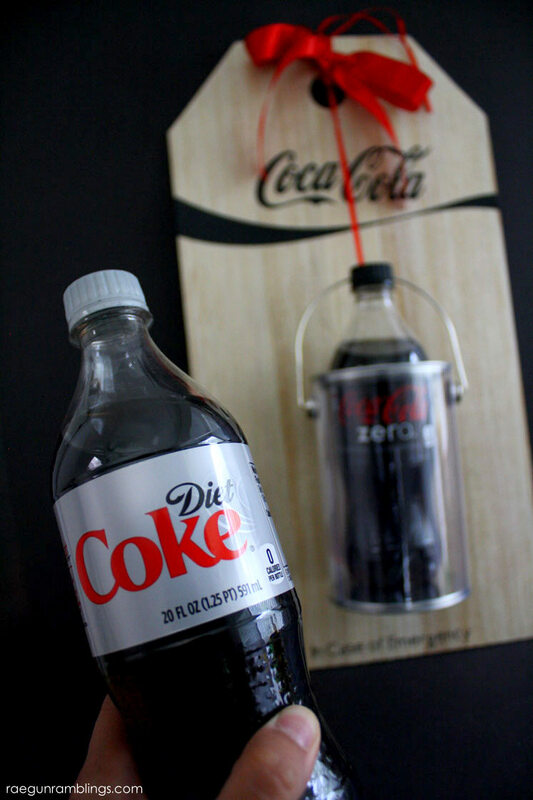 Plus you know she’ll love you forever if you stock her Diet Coke stash! My boys know to bring me a coke when I get grumpy/tired/blah. “Mom, do you need a coke?” They are only 5 and they learned early. This is super cute! Great teacher gift idea! Where did you find the hanging canisters? I got this one at Michael’s but I’ve seen them at a few different craft stores.